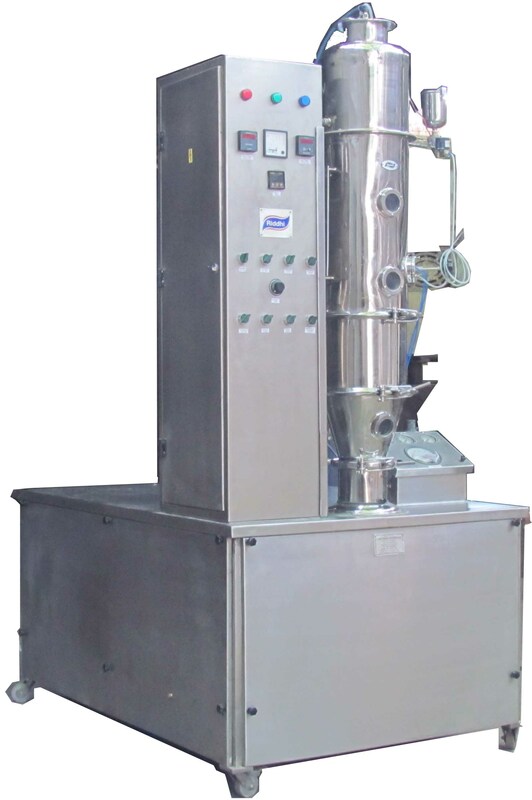 Fluid Bed Processor is suitable for coating of fine drug pellets. These pellets are coated with the help of a Wurster design product chamber with bottom spray gun and partition in the centre of distribution plate. The air distribution plate is well designed to give uniform air flow for uniform coating without agglomeration. These pellets when coated with the solution will be lifted to such a height that they get fairly dried by the time they reach the product chamber thus avoiding agglomeration.